DETROIT - Chrysler rode higher sales of Jeeps and other revamped vehicles to its first annual net income since 1997. The company says it made $183 million last year as revenue rose 31 percent to $55 billion. The net income marks a huge turnaround for the once-struggling company. In 2010, Chrysler lost $652 million as it worked to revamp its aging model lineup. The work paid off. Chrysler's global sales rose 22 percent last year, while U.S. sales were up 26 percent. Chrysler expects the good performance to continue. The company predicts it will make net income of about $1.5 billion in 2012 as revenue rises to approximately $65 billion. The year started off well for the automaker: Chrysler says its January sales in the U.S. rose 44 percent over a year ago on gains from its Chrysler, Dodge, Jeep and Ram brands. The increase is a sign that U.S. car sales started 2012 on a strong note, continuing their brisk pace from late last year. 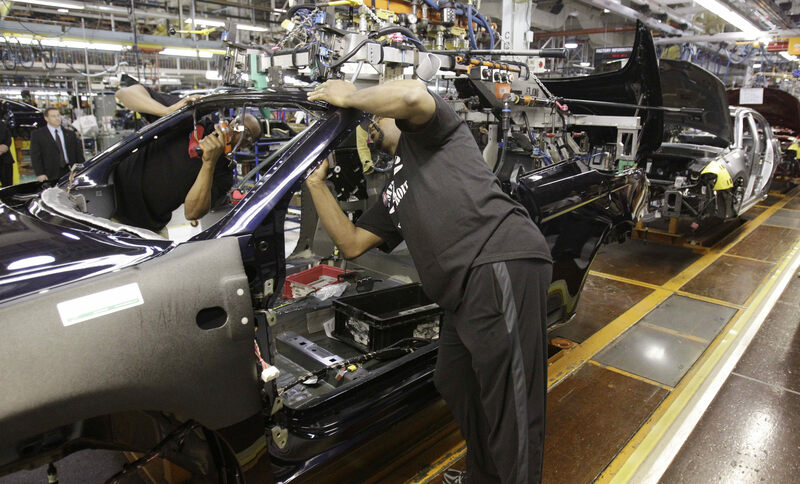 Chrysler says it was the company's best January tally in four years. Sales of the Chrysler brand led the way with an 81 percent increase. Chrysler 200 sedan sales were eight times higher than a year ago. The company is the first automaker to report sales on Wednesday. Auto sales began a slow recovery late last year. Industry analysts expect another strong month because buyers need to replace aging vehicles. They're also taking advantage of low interest rates and greater loan availability.